Ranked from 69 ratings. Score is adjusted from raw score by the median number of ratings per game in the jam. Really fun game! but no actual story, which can be a good thing. It makes us imagine what happened to get us there (in the story). Really great game nonetheless. Great art too! Keep up the good work! Impressive artwork too, especially considering it was made in a few days! Great entry! I love the minimalism of the main mechanic: It implements the concept of scarcity in a very concise manner. I wonder if the game would have been better without the instant death though, having a single bullet is enough to feel the scarcity in my opinion. Maybe two or three life points. Also, having the gun change color or whatever to give feedback that the bullet is already fired would be a great addition. Only gripe I have is that it's TOO similar to Wasteland Kings/ Nuclear Throne (same tiling and even portal after beaten enemies). It IS executed perfectly amazing and jam theme is strong with this game. This is awesome. Genius mechanic, you really put a lot of work into that. Excellent job! Dude. That's all i'm going to say. Can't wait for the full non jam version! The mechanic is super fun. I would love to see some form of story develop. maybe finding the gun on an alien craft, or your from space and you crashed on an unforgiving world. Man, this gun boomerang mechanic is fun to use. 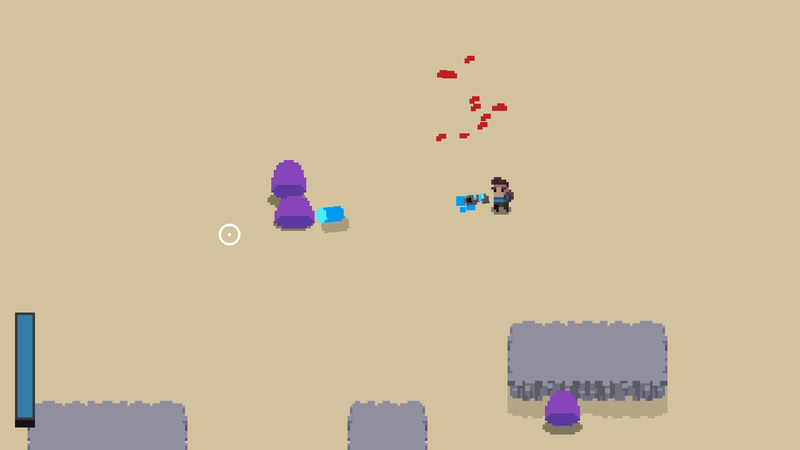 I like shooting my bullet past enemies and shocking them while bringing it back. It could have more of a story though, maybe he found the gun while in the caves or something. Cracking game man, a lot of fun to play and there's loads of depth with that gun, the only thing I wish is that the respawn happened faster and took you back to level 1 instead of the main menu. if you get the time I'd love to see what you think to my game. Wow! This is fabulous. Your attention to detail in every aspect is A+. Loved it from start to finish. Gameplay is brilliant, it really feels like it's pretty much set in stone for a full game. Presentation was done well, one thing that has to be mentioned though is that the portal to get to the next level spawns in a wall more often that not, and the boss was really easy to beat when you set up the bullet to explode near it and you just rapidly click until it's dead. Thank you, glad you liked it! 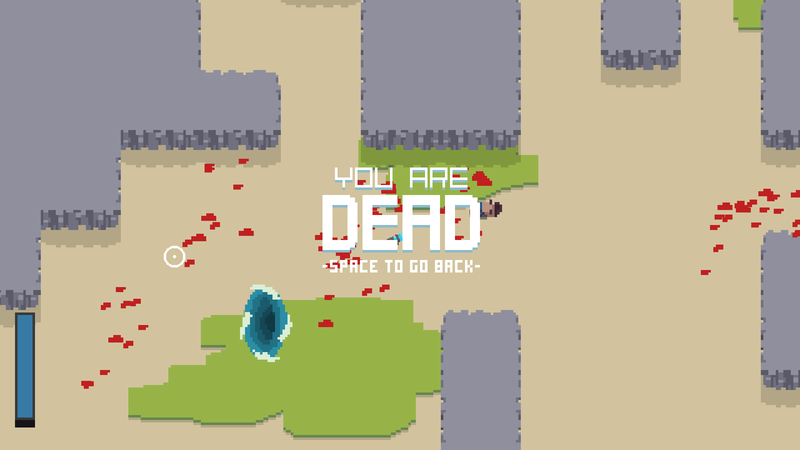 Yeah I implemented a lot since I uploaded this version and I already fixed the portal bug in there. 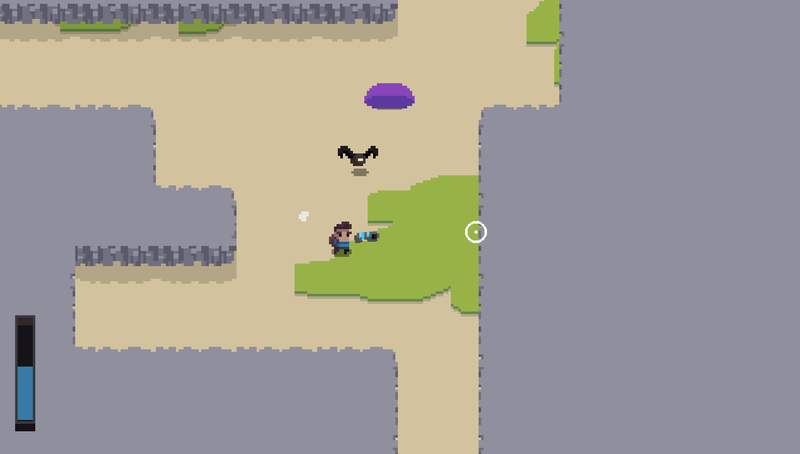 Also I added a mechanic that the bullet deals only damage if its in movement and you can only shock it once (then you have to pull it back to recharge the shock). Feels so good when the bullet is returning and blows up the enemies from the back. Especially those flying things.